DICE have posted a full list of all the bugs it is currently aware of. Hey, Battlefield 4 is a great game right? That is, if you can play it for longer than ten minutes without it crashing. It's impossible to deny that the game has quite a few more bugs than we'd expect from a triple A release, but thankfully, DICE are hard at work stomping them out. DICE dev Trydling has posted up a full list of the bugs that DICE is aware of, and the steps they are taking to remedy them. As well as the "ten minute crash" bugs (which are "being eliminated as we [DICE] find them"), other bugs currently being worked on include multiplayer progress being lost, singleplayer saves getting corrupted, and server queues not functioning. If you were experiencing the magazine reload bug, or Xbox 360 missions not working as intended, a fix has already been rolled out. So what's next? "We are working on a PC client patch at the moment and hope to release it soon," said DICE. "We will share the patch notes once we have the patch contents finalized. The main focus is to fix as many crashes as possible, starting with the issues affecting a large number of players. We will update you once we are ready to release new server updates. We are currently working on server update #5, with four being released so far." If you're experiencing a bug that's not on this list, DICE urges you to please report it. 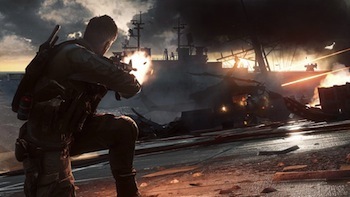 How is your Battlefield 4 experience so far? Are you enjoying fielding those battles, or have the bugs taken too much away from the experience?